That I decided to make a post of some delicious treats that you can make for your sweetie-pie (or yourself) this Valentine's Day. and what I'd prefer to get for Valentine's Day. Yes, you knew I had to. Cupcakes are great for every occasion, especially when you order them from yours truly ;) But, if you'd like to make them at home as a way to show your love then you know I've got some tips for ya! Top the cupcakes with heart candies or even a drizzle of pink candy melt. Add some crushed strawberries to your frosting to naturally give it a beautifully speckled pink tone. Tie a cute ribbon around the cupcake for an elegant look. Watch Marisha's DIY Heart Cake Topper vid. I love love love these. The feeling reminds me of the movie Ratatouille when he combined the grapes and cheese then nearly passes out from the perfect combination of flavors. They're super easy as long as you remember some key tips. Soak your strawberries for at least ten minutes to get rid of pesticides. Pat dry. Let your strawberries air dry. When the berries are wet the chocolate slides right off and doesn't set up properly. Finish with drizzles of chocolate, chopped nuts, coconut flakes or leave plain. 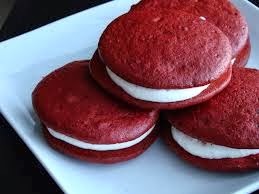 Red Velvet anything this time of year would be perfect. But, I love the convenience of a three bite cake sandwich. These are high on the popularity list this year and they're sure to put a smile on your sweeties face. If using store bought frosting, take a little time to whip it up using a mixer. This will make a fluffy frosting and a tastier sandwich. Make a heart shape by using a circle tip and piping out two tear drop shapes. These are a classic and I'm sure they're already on every store shelf. But, why not make them a little more special by making them yourself. You can make a variety or keep it simple. Trust me, it's not as tedious as it sounds. 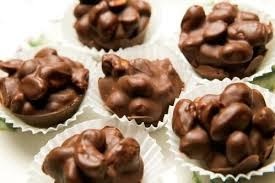 Try making chocolate cashew clusters by adding chopped cashews to a bowl of tempered chocolate. Spoon the chocolate out onto parchment and allow to harden. As fancy and difficult as the word sounds, a cake truffle is just a cake ball. If you know how to roll a ball and dip, you can make a cake truffle. 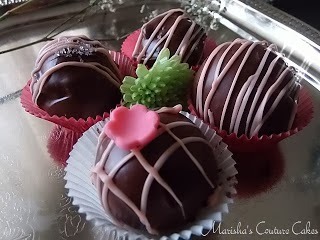 To make these, simply add a small amount of frosting to a freshly baked cake (cooled) crumble and roll into small balls. Harden the balls in the freezer, then dip in candy melt, dark, white, or milk chocolate. Don't use too much frosting, this will affect the stability of your cake truffle. Make sure to freeze for at least a half hour. To easily dip, use a fork. Roll the truffle in plenty of melted chocolate, pick up with your fork allow to dry for a few seconds and roll in your favorite toppings (crushed pretzels, coconut, chopped nuts). These are pink on the inside. To watch the DIY click here.